Caddies are mandatory at Cascata, and once on property you will soon discover why. Our tour-caliber caddies are there for your safety, but more than anything their knowledge of the property and the greens in particular will help you and your guests have more fun. Our caddies know the course better than anyone, so they will guide you off the tee, they’ll club you right and give you strategy tips based on years of experience, and our caddies have stalked every foot of Cascata’s greens and know the break and speed from every angle so trust their reads and make more putts. Uncomfortable around caddies? 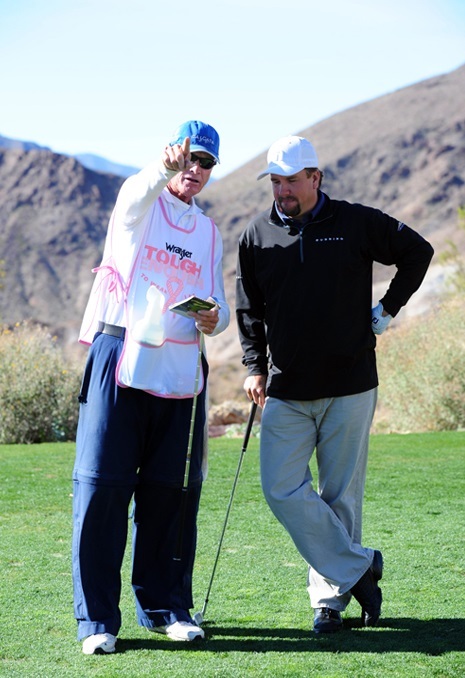 Playing alongside a caddie can be a nervous experience for the first-timer, but our caddies are professionals and will quickly put you at ease. They’ll hustle ahead on dog legs in case you hit through the elbow, they’ll help search for errants shots, give you accurate yardages based on pin position and slope, fill divots, wipe clubs, rake bunkers, fix ball marks, clean balls, and especially read putts. You’ll wonder how you ever played without a good caddie. Generally the caddie fee is $50 per person which includes a standard gratuity, and if the caddie makes a particularly strong impression on you and your guests, you can give him more based on your discretion.